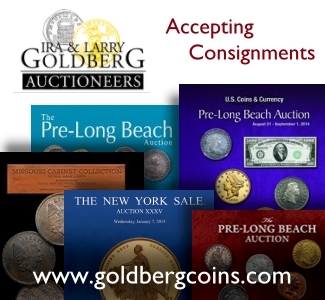 By Charles Morgan and Hubert Walker for CoinWeek ………..
There’s something about an old ball glove. That’s the sentiment behind San Luis Obispo, California-based artist Cassie McFarland’s last-minute entry in the Mint’s baseball coin design competition, held earlier this year. Her winning design, entitled “A Hand Full of Gold”, will serve as the common obverse of the 2014 National Baseball Hall of Fame commemorative coin program. Treasury Secretary Jack Lew selected McFarland’s design after consultation with Mint officials, the Citizens Coinage Advisory Committee (CCAC), the United States Commission of Fine Arts (CFA), and a panel of Hall of Fame baseball greats consisting of Joe Morgan, Brooks Robinson, Ozzie Smith, Don Sutton, and Dave Winfield. The Mint notified the public of Lew’s selection on October 8, 2013, but McFarland didn’t know she’d won until Coin World called for an interview. For the 28-year-old artist, the publicity surrounding the coin’s release in 2014 will shine a klieg light on her budding career. McFarland studied art and design under Daniel Dove and Michael Barton Miller at the California Polytechnic State University, and creating figurative portraits is her primary focus. After spending some time in Boston, painting in her personal studio, McFarland returned to California to focus on smaller canvases. She chose to do a series of etchings on coins and tokens, including the “Mr. President” series of tokens issued by Shell gas stations in the 1960s (a complete set of which, we might add, is probably impossible to complete). It was in the process of experimenting with this medium that McFarland ventured into another area of iconic Americana – the sport of baseball. Her initial idea involved making small-canvas art alterations overtop baseball cards, but she quickly decided to return to etching over metal. She went looking for baseball coins online, and happened to stumble upon the design contest in a Google search. The contest offered a prize of $5,000, plus the opportunity to design the obverse for all three coins issued under the Baseball Hall of Fame commemorative program. McFarland read through the rules and was immediately inspired to participate. The only problem was that submissions were due by noon, Eastern Standard Time, on April 26. She’d just discovered the contest on the 25th. The contest called for line art drawings to be realized in an 8” diameter circle in black and white, with shading techniques used to convey the form, relief, and structure of the design. McFarland drew three versions of the winning entry and chose the third because it showed the fewest corrections. 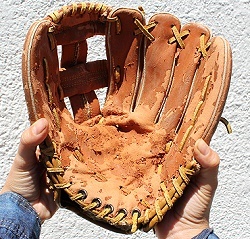 The glove she used as a model had been in her family for years and was heavily worn, giving her design that classic touch harkening back to the golden era of baseball. 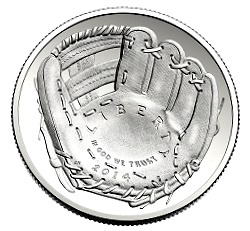 McFarland also rounded the features of the glove to take advantage of the coin’s bowl-like shape. One design element didn’t make the cut, however. McFarland had included two wheat sheaths curving around the thumb and pinkie finger of the glove. The sheaths were reminiscent of the reverse of Victor David Brenner’s Wheat cent, although the element wasn’t an intentional nod to the popular penny design. The exclusion of the wheat motif notwithstanding, McFarland is impressed by the executed design. The Mint and National Baseball Hall of Fame hope that the piece McFarland handled will be the first of many coins put in collectors’ hands when the coin’s go on sale early next year. Which means 2014 is shaping up to be a busy year for the young artist. Invitations have come in from the National Baseball Hall of Fame, and we figure that the U.S. Mint and various numismatic clubs and associations – as well as a number of Major League Baseball teams – might want to host the designer to celebrate baseball and the nation’s first scyphate commemorative coin. 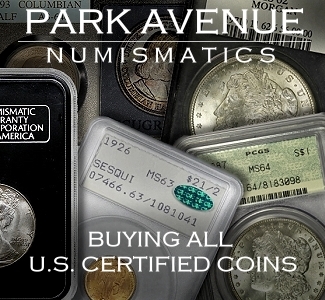 McFarland may also sign a contract with Professional Coin Grading Service (PCGS) to sign insert labels. 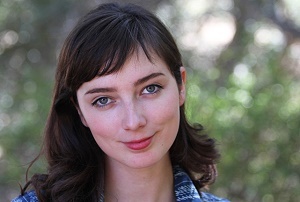 Where such a whirlwind takes Cassie McFarland, one of the youngest among a select group of artists who’ve designed coins for the United States, is anybody’s guess. For now, she says she’s taking it slow. Relaxing in the calm before the storm. With the release of the National Baseball Hall of Fame commemoratives in 2014, the United States will have recognized the so-called National Pass Time with eight separate coins. The National Football League and College Football, two sports which, by all accounts, have surpassed baseball in national popularity, have yet to be recognized on a single coin. Mount Rushmore has been depicted on a U.S. coin more times than any other structure or sculpture. Since 1938, three of the four presidents depicted on the monolithic sculpture have also been featured on a coin. 2013 is the year the fourth president joined them. Can you guess who he is? The two dollar bill was reintroduced in 1976, ostensibly so that Americans would use it instead of the one dollar bill. The new design featured an adaptation of John Trumbull’s painting Declaration of Independence (1817-19). Of the framers featured on the back of the note, six are missing from the painting. Fourteen additional signers present in the painting are absent from the bill. Previous articleGot A Low Numismatic Budget ? Buy A Coin from the Newman Collection! Cassie McFarland won the competition for the U.S. Mint 2014 National Baseball Hall of Fame commemorative coins. The U.S. Mint should offer her a job as an Artist to Liven Up Its Coins and Medals per its Artistic Infusion Program (AIP).